Video: Rachel Simmons: Teaching Girls How To Be Unstoppable. Video: Good Morning America: Failing Well. Video: TEDxWomen: Rachel Simmons and Claire Sannini. 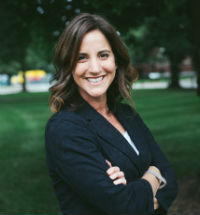 Rachel Simmons is a seasoned classroom teacher, inspirational speaker, and the New York Times bestselling author of Odd Girl Out. Simmons’ classes and workshops develop students’ emotional intelligence, communication skills, healthy risk-taking ability, resilience, and confidence. A proud Women’s Studies major, Simmons graduated from Vassar College before winning a Rhodes Scholarship and spending a year studying political theory at Oxford University. She went on to co-found Girls Leadership, a national nonprofit that gives girls the skills to exercise the power of their voice. 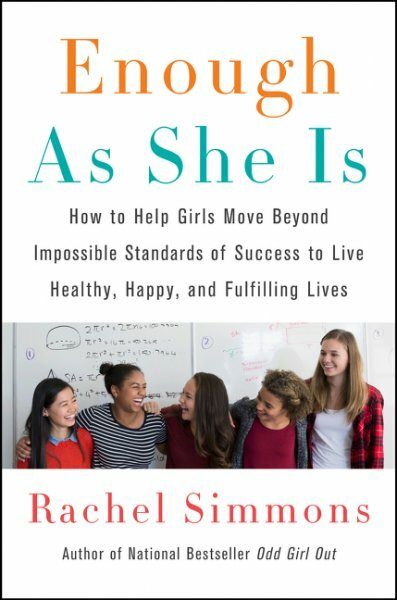 Simmons’ new book, Enough As She Is (Harper) aims to give adults the tools to help high school and college women reject "supergirl" pressure, overcome a toxic stress culture, and become resilient adults with healthy, happy, and fulfilling lives. It will provide practical parenting advice—including teaching girls self-compassion as an alternative to self-criticism, how to manage overthinking, resist the constant urge to compare themselves to peers, take healthy risks, navigate toxic elements of social media, prioritize self-care, and seek support when they need it. Today, Simmons’ is a Leadership Development Specialist at Smith College. She was invited to share with the presidents of the Seven Sisters Colleges her cutting-edge work with college-age women, and her Failing Well program at Smith was profiled in 2017 by the New York Times. As a Girls’ Research Scholar in Residence at the Hewitt School in New York City, Rachel gets to live her dream of integrating research on girls into work with faculty, students, and parents. Simmons also hosted her own PBS television special, “A Girl’s Life,” and is a regular contributor to Time and Good Morning America. Additionally, she has appeared twice on Oprah, and was invited to work with the girls at Oprah’s South Africa girls’ leadership academy. A prominent presence on the speaker circuit, Simmons’ has presented across the globe, including a TEDxWomen talk. She has been profiled by the New York Times, and her writing has been published in the Washington Post, Time, The Atlantic, Slate and the New York Times. Currently, Simmons resides in Massachusetts with her daughter. "Is it wrong that I wanted to underline every single word in this book? Simmons brilliantly crystallizes contemporary girls’ dilemma: the way old expectations and new imperatives collide; how a narrow, virtually unattainable vision of ‘success’ comes at the expense of self-worth and well-being. Enough As She is a must-read, not only for its diagnosis of the issues but for its insightful, useful strategies on how to address them."